It’s the day before the Oscars, which means it’s time for Hollywood to take its traditionally smaller, cooler trial run for the big night, in the form of the annual Film Independent Spirit Awards. Presented by non-profit Film Independent, and voted on by independent filmmakers, the show was broadcast today on IFC, with Oh, Hello heroes John Mulaney and Nick Kroll returning to host. The awards unsurprisingly skew toward the more progressive side of the Hollywood menagerie, often highlighting smaller films that the Oscars may have passed over. Take, for instance, Robert Pattinson’s crime thriller Good Time, entirely snubbed by the Academy, but represented here by nominations for a number of categories, including Best Director, Best Male Lead, and Best Editing. It wasn’t R-Pat’s night, though; despite a strong critical response, the film lost in all its categories, with Call Me By Your Name’s Timothée Chalamet (toting a shirtless, Facetime’d Armie Hammer around on his phone) taking home Best Male Lead in Pattinson’s place. 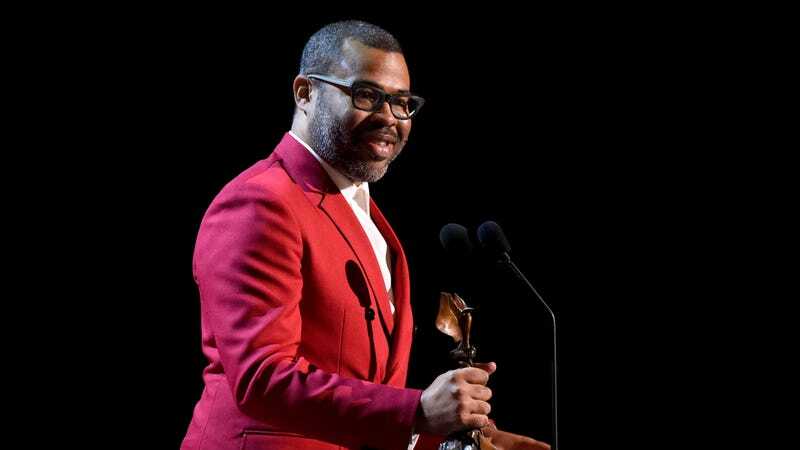 The biggest question of the afternoon, of course, was who would win Best Feature; for four years running, the winner of the Spirit Awards’ top honor has gone on to win Best Picture the following night. (A tricky prospect to recreate this year, given that likely frontrunner The Shape Of Water wasn’t even nominated for the Spirits.) In the end, Get Out won the day—dashing our hopes of The Florida Project getting at least some recognition during this year’s awards season—and raising the open question of whether the Academy will break with expectations to follow suit and keep the streak alive. You can find the full list of nominees and winners (including Agnés Varda in documentaries, and Kumail Nanjiani and Emily V. Gordon for Best First Screenplay for The Big Sick) over at Variety. Tune in tomorrow for our live coverage of the Oscars themselves.